As mergers, consolidations and brand-buying continue among pharmaceutical companies and consumer packaged goods brands, customers are looking to CMOs to be experts in research and development, compliance and go-to-market strategies for new products. Turnkey solutions and speed-to-market are packaging industry watchwords that often head the checklist for consideration when selecting a supplier. But breadth of capabilities, quality assurance, established supply chain relationships and a commitment to continuous improvement and innovation are key ingredients to a lasting partnership with your contract manufacturing and packaging partner. 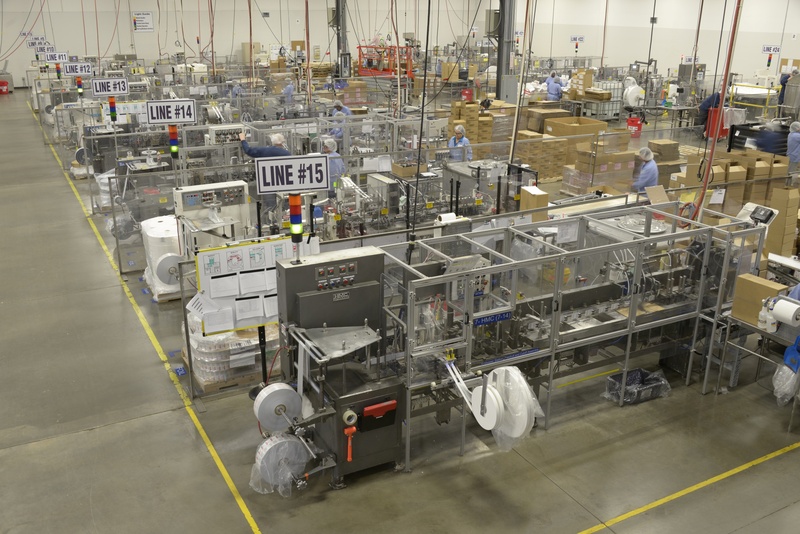 From regulatory compliance to market preferences for packaging, a true contract manufacturing and packaging partner will be well-versed in the right technology for personal care, OTC, pharmaceuticals, and Medical Device manufacturing and packaging, and will understand the competitive landscape. This type of insight comes only with years of solid experience and trusted industry relationships. For example, as an aging population and focus on compliance and safety steers healthcare packaging toward options such as easier-to-open containers and self-heating tubes for one-time use, it is important that your contract manufacturing and packaging partner possess the competencies, registrations and relationships that make timely implementation of these trends and transitions possible. With an overarching commitment to Quality, Multi-Pack SolutionsTM is FDA registered and fully compliant at its Greenville, South Carolina and Milwaukee, Wisconsin facilities. Both are registered with the FDA as a Medical Device & Drug Establishment. In addition, all three Multi-Pack Solutions facilities, including its Chicago, Illinois location are registered with the EPA and compliant to applicable regulations, including disinfectant wipes. The Greenville, South Carolina location partners with an industry-recognized ISO certification body to maintain registration and certification to ISO 13485 to meet all Medical Device part 2003 directives and regulations. It also houses a validated USP Grade Reverse Osmosis Purified Water System—a unique feature when compared with other contract manufacturing and packaging companies. 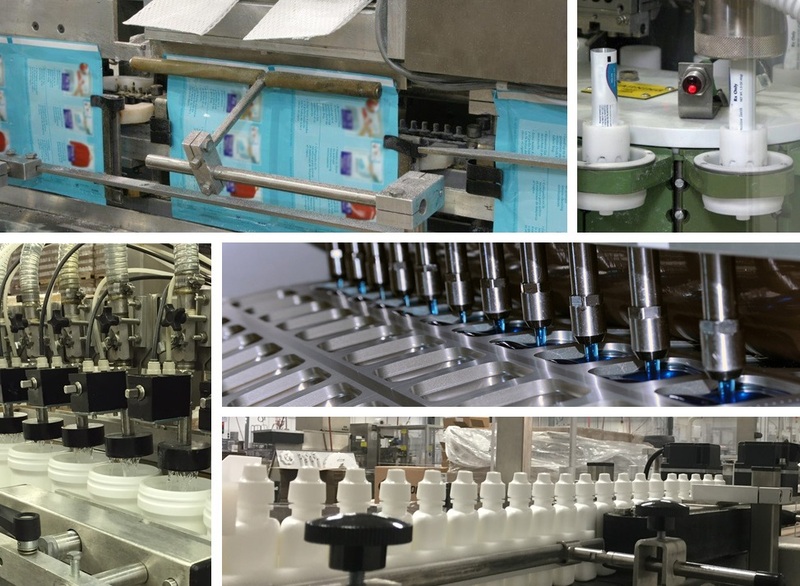 A custom-built mixing suite in Greenville gives Multi-Pack Solutions compounding ability for a wide range of personal care, pharmaceutical, OTC and consumer convenience products. These include products from gels and antibacterial liquids to lotions and creams. Capabilities in the mix room include various tank sizes to accommodate pre-mixes and larger scale batches. Some of the tanks are equipped with an exterior jacket to allow for heating and/or cooling phases for formulas that require it. The company’s technical expertise and quality directives extend across all three manufacturing facilities, which together handle a variety of manufacturing and packaging capabilities including water-soluble pouches, wet wipes, tubes, bottles, sachets and single packs. To streamline the supply chain, Multi-Pack Solutions offers expertise in secondary packaging, which eliminates the need for a different company to provide services such as cartoning, coupon and instruction insertion, glue tipping, bundling and POP displays. Successfully launching a new healthcare product requires expert go-to-market packaging solutions. Multi-Pack Solutions’ assortment of capabilities gives it technical expertise in virtually every product delivery format. What will the dispensing system be? From flip to flat cap, ribbed to smooth, and induction- sealed, a proper opening system must be selected for your product. What is the product’s flowability? The viscosity of the product and bottle delivery method must work together for optimum dispensing of the bottle contents. What is the product’s stability? It is important to know how your product stands up under a variety of environmental factors such as temperature, humidity and light. Its shelf life must be evaluated for expiration date validation. What are the timing requirements? Access to varying bottle sizes and caps is crucial to meeting lead-time structures. What type of labeling is desired or required? From front and back to wraparound and booklet labels, there are several ways to present your brand. Your contract packager should be able to make recommendations that are the best fit for your product. Finding a contract packager that can provide trusted guidance in answering all of these questions, and one that will provide an honest assessment of whether your product is a good match for a long-term partnership, is crucial. At Multi-Pack Solutions, contract packaging is a science. 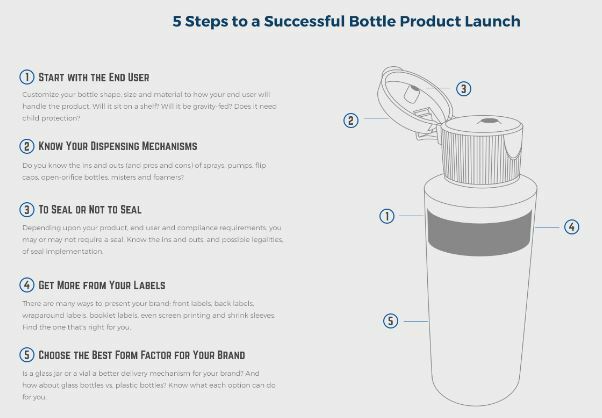 From the shape, size and color of a bottle to the type of shipper case that bottle is housed in, Multi-Pack Solutions draws from decades of experience to offer expert direction. As technology continues to evolve in healthcare packaging, you want to make certain that your contract packager is on top of the latest advancements in materials, packaging methods and equipment and can offer knowledgeable advice in primary and secondary package design and development with your specific product in mind. Finding a contract packager with a wide range of capabilities also counts should you wish to expand your brand across multiple formats. A product line extension may be in your future, so selecting a company with technical and practical proficiencies across varying form factors can save you time and money when that time comes. Confidence in your contract packager begins with its commitment to quality. Specialized skills in compliance programs such as calibration, validation, auditing, equipment maintenance and quality management systems should be evident. When selecting a contract manufacturer and packager, the quality checklist should include considerations such as: the contract packager’s ability to provide updates on regulatory requirements, the ability to react to quality issues and partner with the customer, and evidence of the supplier’s continuous improvement programs for quality, manufacturing and packaging. Multi-Pack Solutions is proud of, and willing to share with its customers, an excellent history of FDA Inspections due to its diligence in maintaining quality systems. During the last three consecutive FDA quality inspections, Multi-Pack Solutions has received no Form 483 observations. Multi-Pack Solutions is supported by a robust quality program that adheres to the highest standards for the U.S. Food and Drug Administration’s Quality System Regulations for Medical Devices (21 CFR Part 820) and for finished pharmaceuticals (21 CFR Part 211). On-site micro and chemistry labs at Multi-Pack Solutions’ Greenville facility allow timely testing of product material from receipt through shipment. These in-house capabilities ensure the integrity of product handling and testing methods, and provide complete traceability. An on-site microbiology lab allows fast identification of any manufacturing or packaging challenges that could affect speed to market. Multi-Pack Solutions can perform environmental sampling including surface and air sampling and testing, and can identify microorganisms using gram staining, selective media, biochemical tests and its Biolog identification system. Multi-Pack Solutions’ in-house chemistry lab features HPLC equipment, GC equipment TOC Analyzers and a new, validated walk-in room temperature Environmental Stability Chamber, as well as Accelerated Environmental Stability chambers. Stability is an important principle in the Medical Device and Pharmaceutical industries. Multi-Pack Solutions offers stability testing as a service to its customers. Product samples are pulled periodically and placed in a controlled environmental chamber of temperature and humidity to test whether they remain within the chemical and microbiological specifications. This ensures the product’s effectiveness and makes certain it is not harmful in any way. Another unique feature at Multi-Pack Solutions’ Greenville facility is a USP-grade purified water system. The reverse osmosis system with Ozonated loop offers greater disinfection effectiveness against bacteria when compared with chemical disinfectant treatments. Microorganisms cannot build up a biofilm on the interior walls of the piping in the presence of ozone. Ozone provides a continuous defense against biofilm, eliminating microorganisms that could contaminate products. Quality assurance must extend beyond laboratory environments to the equipment on the manufacturing floor. To address this, Multi-Pack Solutions performs ongoing inspection and validation of its manufacturing and packaging equipment. A complete validation program assures that major equipment is handled carefully and maintains a high level of performance via execution of installation, operational and performance qualifications. A change control checklist is completed to assure procedures are completed and in place for new equipment operation. Quality assurance also means that your contract manufacturer and packager must be compliant with all EPA and FDA requirements for your specific product and must stay abreast of any changes in regulations. A good contract packaging partner in the healthcare industry must also stay informed of any changes with the International Council for Harmonization of Technical Requirements for Pharmaceuticals for Human Use. Multi-Pack Solutions’ industry-leading Quality department stays informed about the scientific and technical aspects of drug registration from numerous regulatory authorities in the pharmaceutical industry. Another recent change relates to the Serialization and Aggregation requirement for compliance with the Drug Supply Chain Security Act (DSCSA) for pharmaceutical products. Contract packagers must upgrade coding equipment and integrated software to ensure proper tracking and tracing of products from the manufacturer to the end user. This is performed by numbering—in order—the product produced and assigning this number to each unit as sold. Contract packagers must be fully compliant by November 2017. A quality agreement should be in place between you and your contract packager that outlines your responsibilities and those of your supplier. Information sharing of quality procedures, registrations and product regulations is critical, and transparency is the key to long-term success. When choosing your contract packaging partner, ask to speak with members of the quality team and review the quality manual and current procedure index. Establishing direct lines of communication up front will allow you to better head off mistakes, be more efficient and realize success more quickly. A true contract packaging partner will understand your market space and will have developed trusted partnerships all along the supply chain. 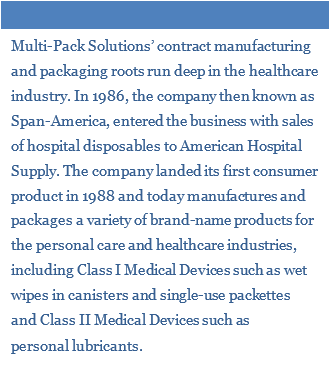 From healthcare to household cleaners, Multi-Pack Solutions’ track record of success covers a broad range of industries. As consolidations and brand ownership changes continue in the OTC and pharmaceutical industry, contract manufacturers and packagers are becoming knowledge bases. A supplier with proficiencies perfected from working with other Medical Device manufacturers or OTC pharmaceuticals can be a valuable resource for you. If yours is a virtual company with no manufacturing or R&D capabilities, or you are a buyer new to your marketplace, you will want to look for a contract packaging partner who insists on a deep dive into information about the application and specifications of your product to guide you toward the best fit for use. The best partner will be upfront about what they are and are not capable of doing, and will make suggestions for the benefit of both parties, the product and the consumer. Multi-Pack Solutions has substantial expertise in OTC manufacturing and contract packaging to meet the high standards of global pharmaceutical companies, helping customers make critical decisions on everything from packaging containers to POP displays. The company’s exhaustive list of supply chain partners gives customers access to a broad range of primary and secondary packaging options, along with valuable sales and marketing advice. Quality systems and registrations are Multi-Pack Solutions’ strengths, and an ever-changing healthcare marketplace dictates a commitment to continuous improvement and new ways of meeting customer needs. Ongoing analysis of processes, operations and equipment are the key to identifying potential issues and to proactive implementation of preventive measures. Internal and customer audits should be performed on a regular basis to ensure integrity of the manufacturing process and compliance with all regulatory agencies. With an eye toward continuous improvement, your contract manufacturing and packaging partner should also be sharing process improvements and innovative new ideas to help you increase sales or extend your product line. For example, a recently acquired Multi-Pack Solutions customer moved its manufacturing and packaging operations from overseas after experienced team members recommended packaging design changes that allowed automated box assembly of the finished product. Multi-Pack Solutions also designed and built a customized production suite exclusively for producing this finished product. Additionally, Multi-Pack Solutions is working with major brands to offer shampoo, body wash and shaving cream in water-soluble pods for general consumer use and for patient use in hospitals. Industry officials predict that these unit-dose products will be available for limited market trials by the second quarter of 2018. A world leader in water-soluble packaging, Multi-Pack Solutions packages more water-soluble pouches for detergents and cleaning products than all other contract packagers and manufacturers combined. With industry-leading expertise in this space, the company is poised to provide customers with innovative opportunities to use this pouching technology across personal and healthcare platforms.